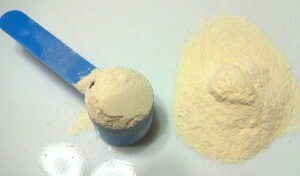 To maximize your workout performance Jack3d should be used as a nutritional supplement, not a replacement. Some believe that pre-workout drinks are best taken on an empty stomach. I disagree. When I have taken Jack3d on an empty stomach my surge of energy is short lived and then I fall into a tired jittery state. My muscles don’t experience the pump that I would anticipate. On the other side, Jacked will have decreased effectiveness if taken right after eating a large meal. If your body is in the process of digesting heavy food the caffeine, arginine, and other ingredients won’t absorb as well. Since I work out around 6:00PM, and a long time after lunch, some nutrition is badly needed before going to they gym. I drink a protein shake right before taking my pre-workout drink. 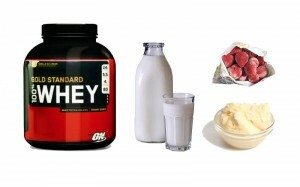 The protein shake is just enough nutrition that it won’t diminish the effects of the Jack3d. I feel 10 times better at the gym if I take my pre-workout drink after a healthy shake. For a complete list of Jack3d ingredients see the article titled “Jack3d Ingredients Review”. This entry was posted in Bodybuilding, Supplement Review, USPLabs Jack3d, Weight Gain and tagged jacked 3d, nitric oxide, supplement review by Russell Jensen. Bookmark the permalink.